The UC Theatre in Berkeley opened June 30, 1917. It survived a lot of movies and movie lovers, two fires and the longest-running engagement of any movie in the world, with its 22 years of The Rocky Horror Picture Show accompanied by the most elaborate live performances imaginable. 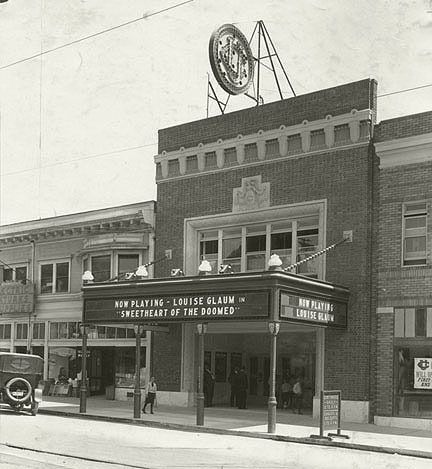 Landmark Theatres officially got its start by taking over the theater on April 1, 1976. I was a co-founder. We had 48 hours from the close of the last first-run studio movie to our reopening with cosmetic upgrades and a totally new program of daily double features that I programmed and wrote notes for, printed on a popular large calendar broadside. The first day was a movie-movie combo of Truffaut’s Day for Night and Fellini’s 8 ½. Thousands of movies and special events occurred over the following years. Immediately coming to mind: Werner Herzog ate his shoe there for the world premiere of Errol Morris’ Gates of Heaven and Les Blank staged his “Aromaround” Garlic is as Good as Ten Mothers screenings, with garlic roasted in the theater. Dozens of Bay Area filmmakers showcased their works. John Waters brought Divine, who could not decide whether to be a man or woman that night … and came 50/50. 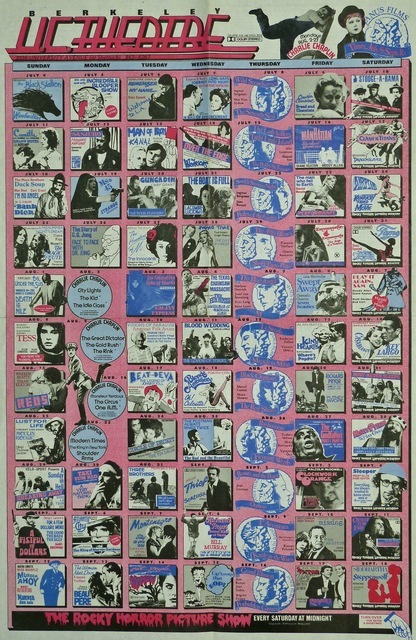 Actress Cicely Tyson had a tribute (with her husband Miles Davis in the audience), and Clint Eastwood premiered Bird as a benefit for the Pacific Film Archive. Whoopi Goldberg introduced Gone With The Wind. The UC hosted the first time the Star Wars trilogy played in a single day (with a surprise showing of Hardware Wars). 24-hour science fiction marathons, noon to midnight vintage television on the big screen, 12-hour Beatles and Rolling Stones binges, and 900 minutes of “prevues of coming attractions” were offerings only found on University Avenue in Berkeley. Thursdays became Festival Hong Kong, with movies that were hard to see outside of their homeland. Russ Meyer told stories of his Berkeley school days and how actress Kitten Natividad changed his attitude about certain forms of sexual foreplay. Japanese anime got its first U.S. theatrical introductions. Bob Vaughn regularly accompanied silent movies on the organ, local bands introduced favorite movies, the theater hosted the first-ever feature-length movie musical sing-alongs for Meet Me In St. Louis, Singin’ In The Rain and The Wizard of Oz, led by the Berkeley Broadway Singers. And so many more filmmakers, writers, actors, film festivals and special events kept the place an exciting home away from home for movie lovers. The interviewer followed up by asking: Did any particular movie just hit you out of the blue one day and just set you off on an actor’s path? Hanks answered, almost reluctantly: “2001: A Space Odyssey showed me what could be communicated just by image—silent image. By somebody’s vision and camera they could communicate something as earth-shattering as man’s place in the universe. It was a heady thing. I’ve probably seen the movie 22 times. 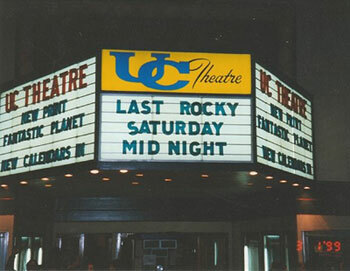 And then, ironically in 2001, the inevitable, forestalled several times already: the UC Theatre closed in March, after a losing battle to bring in enough customers—increasingly watching movies at home—to cover the high costs of seismic upgrades, general repairs and the expenses of booking two movies every day with shipping, film makeup, film rental and promotion. But the phoenix shall rise again! David Mayeri has taken on a project to reopen the UC Theatre as a concert hall with selected special film events and festivals. The plans are spectacular. Mayeri got his start in high school, helping musicians load in equipment at the Berkeley Community Theatre, and then worked his way up to become a key executive at Bill Graham Presents. His experience has inspired an exciting educational paid internship program that will give young people an opportunity to learn how the concert business works. You are invited to the ground-breaking on Wednesday, March 18 at 10:30am, where you can see plans and ask questions. Please join our groundbreaking ceremony. Starting at 10:30 A.M. to 11::30 A.M.
Come celebrate this groundbreaking milestone for The UC Theatre, a new music venue serving the community with education programs providing youth with arts business education and vocational training. This entry was posted in Films and tagged Rocky Horror Picture Show, U. C. Theatre. Bookmark the permalink.